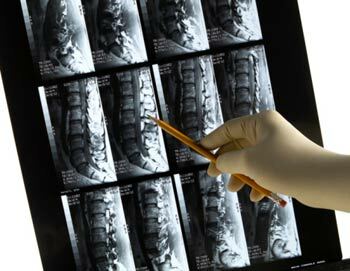 As a Redwood City Nucca Chiropractor, we use a number of techniques and services to give you the best care possible- based on our judgment and years of experience. The atlas is the first bone in your spine. It receives the weight (8-14 pounds) of your head and transfers it evenly into your neck and shoulders. Good balance in the head and neck results in good pelvic balance. Good pelvic balance is essential for lower back comfort. The head can move in many directions, much like a golf ball turning on a tee. When misalignment of the atlas (upper neck) occurs relative to the skull, the weight of the head no longer transfers evenly into the neck and shoulders. This may cause headaches, TMJ, facial pain and varying amounts of pain and stiffness in the neck and upper back. More severe misalignments will result in shoulder and arm pain often accompanied with numbness and tingling into the hands and fingers. A shift of the head away from the midline of the body will cause a shift of your pelvis, which may in turn cause bulging of low back discs. Lower back pain and stiffness is caused by tilt, rotation, or both in the pelvis. Left uncorrected, symptoms of leg pain and sciatica can develop. In addition to aches and pains of muscular origin caused by postural distortion, the Atlas Subluxation Complex and its Syndrome can produce neurological disorders. Equilibrium, respiration, heart and digestive function are all directly related to the position of your skull and atlas. For more information on NUCCA care and a visual demonstration of the Atlas Subluxation Complex and its Syndrome, click the following link and follow the prompts. Visit the website here! (Entering your name on the first page is optional. You can proceed to the visual demonstration by clicking the “Continue” button. Nutritional consultations to assist a chronic problem or optimizing one’s health, can be arranged with Dr. Tsiglieris. He has actively researched the field of nutrition for over 30 years, to include the field of environmental toxins. He teaches Applied Clinical Nutrition at Life Chiropractic College West (LCCW). Spinal stability exercises for nerve, connective tissue, ligament and muscle balance re-training. Specific exercises that help the body retain the NUCCA spinal corrections.